A common concern for many new Las Vegas residents is how to maintain their natural hair in this noticeably harsh climate. Las Vegas, Nevada has a subtropical hot desert climate which can reek havoc on your hair if you’re not careful. Las Vegas weather ranges from extremely hot and humid summers to extremely chilly winters. Many people who choose to style their hair predominantly with heat styling tools may find themselves with severe breakage over time. Here are some important tips that will help you retain your length and maintain healthy hair in Las Vegas! In order to survive this new desert climate your hair must stay hydrated at all times. Many of us come from more forgiving climates, where you can get away with being lax with your hair care maintenance, the same is not true for Vegas. 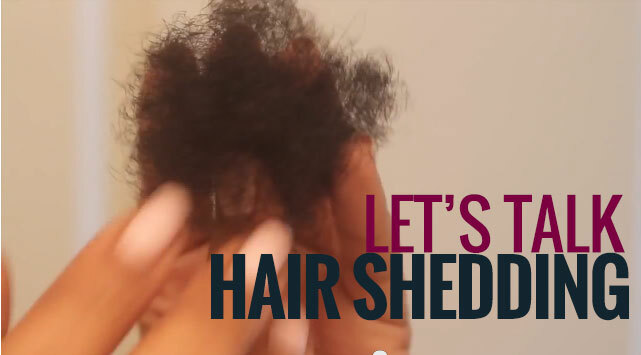 Here, Dry hair equals breakage. Its very important to stick to a daily regimen with a few trusty moisturizing products, be sure to include a water based hair moisturizer as well as a hair oil in your collection. Be honest with yourself and assess your hair daily. Ask yourself, is my hair dry? Be sure to touch and feel your hair. 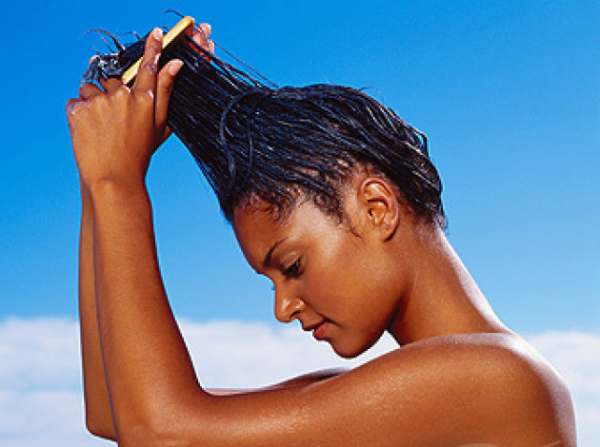 If your hair feels dry and brittle, you need to apply moisture. Your hair should always maintain some moisture at all times. Once you apply your moisturizer, be sure to seal your hair with hair oil. Be gentle with your hair at all times. Its best to only allow people who are gentle with your natural hair maintain your precious hair. 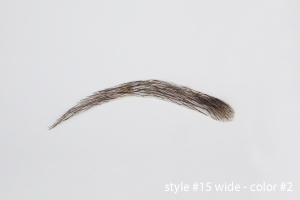 Being too rough with styling leads to hair loss and breakage, not to mention it hurts. 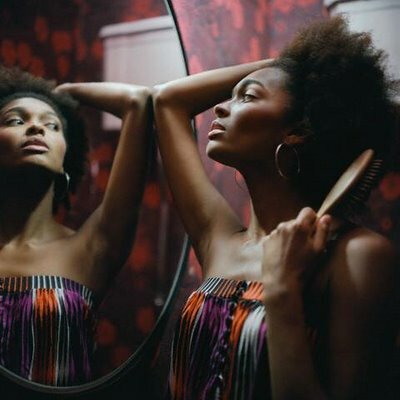 When its time to take care of your hair, be sure to set time aside to just focus on yourself while you are pampering and taking care of yourself. Once you find the water-based hair moisturizer of your choice be sure to take the time to see that every strand gets the attention it needs. Be sure to take the time to massage your scalp at least 5 minutes a day. Not only does this feel surprisingly amazing, but it promotes blood flow which prevents hair loss and promotes hair growth! The best way to grow your natural hair in this parched climate is utilizing protective styles like sew-in weaves and extensions as well as braids and customized units. Protective styles give their owners the freedom of choosing limitless new looks, while safely protecting their natural hair in cornrows. Sew-In Weave and Extensions offer the wearer the versatility of using wefted hair of any length, texture and color. New innovations in Sew-In Weaves and Extensions include lace closures and frontals which are often seen on many popular celebrities. Hair quality has improved tremendously over the years with clients often having access to premium remy extensions which have been known to last their owners many installations, while still maintaining their premium attributes. Custom units are another great option as a protective style, especially if you don’t care for stilling and waiting to have your sew in installed. A professional takes the measurements of your head and a customized unit is created based on your specifications. You can choose to just wear your unit like a wig and take it on and off daily, or you can choose to have your unit sewn on. Be sure to take care of your hair here in Las Vegas, it’s totally doable!!! Just remember to maintain the moisture in your hair! Remember: It should have some moisture at all times! Be sure to take extra care of your hair and baby it, please don’t be rough. And finally, consider a protective style if you really want to protect and grow your hair, while looking amazing! Sew In Weaves are the perfect protective style! You can change your entire look and reap the benefits of your protective style with inches of added health growth each install! We’ve all seen them. The bad weaves that look like who did it and what for, with a side of matted hair and visible tracks. It is true that sometimes these glam victims simply got a bad install. But in some cases these ladies may have received an amazing install that was secure, full, and with no exposed tracks; but if you find yourself doing any of these sew-in sabotaging behaviors it may mean doom for your install. First things first, in order to have a good install your hair should be clean prior to service. In some rare instances some clients do choose to install their sew-in weaves with their natural hair, dirty. This is not a good idea. Especially if you’ve just come out of any protective style that’s been in your hair for months. Clients who consistently use high quality hair, tend achieve long lasting and glamorous results for each of their sew-in installs. It isn’t alway easy knowing what kind of hair to buy, how much, etc. To make this process easier many clients will choose to purchase their hair extensions and bundles from their hair stylist. Too often clients unknowingly purchase the wrong hair for the look they are going for, or the wrong amount. Consulting with your stylist and ordering through your stylist can definitely simplify this process! TIP: If you are wearing virgin hair extensions it may be necessary to purchase an oil to apply to your extensions and wefts to keep them moisturized, the last thing you want is your virgin hair to start becoming dry and brittle as they will begin to shed and you may discover the loss of some length and volume over time. If you choose to provide your own hair, please remember that by supplying your stylist with the proper hair for your install is vital to achieve your desired final look. Often when people shopping for hair extensions and wefts go to the beauty supply, they are often bombarded with a lot of choices of hair and prices ranging from very low to expensive. It is important to understand that even though some hair at the beauty supply may be expensive it does not also guarantee quality. If you should choose to purchase hair from the beauty supply, purchasing hair characterized as “Remy”is ideal. Another reason why someone may be disappointed with their sew-in is simply because their desired hair style may not be attainable because of the present condition of their natural hair (choppy length, breakage, damaged edges). A common example is the new Vixen installs; the Vixen is a weave in which the majority of the clients natural hair is left out and the remainder is braided neatly in netted quadrants. This style was created for clients with mid to long length natural hair, the hair has to be in a healthy state especially around the edges. Unfortunately for many ladies this style is not a good choice. It is your stylist’s job is to make you look and feel better. You may have a vision in mind its important to speak with your stylist and express that final vision. In the case of a client with shorter or damaged hair desiring a Vixen hair style, though expressing to her stylist that she truly just desires a style that would give her the freedom to wear her hair in a half up half down style. A good stylist would accommodate her and recommend one of the many options to achieve that look such as a Lace Frontal with a Full Sew-In may be an amazing option as well, as it would give her the desired look while also protecting her natural hair. Having a positive attitude and being open minded towards your stylist’s suggestions is important when getting your install installed and looking its best. Try to explain to your stylist the final look you had in mind.Please keep into consideration that, although you may have been getting weave and extension installs for many years,you should remember to allow the stylist to install the weave that is ideal for you, your hair type and condition, facial structure and head shape. A client may have her heart set on a particular install style but may have to compromise and receive a different weave install that compliments her hair type and condition of her hair, while achieving the same or similar look. Ladies keep these concepts in mind when you are thinking about getting a sew-in or even if you have one now. If you are thinking about getting an install in the near future. Envious Extension specializes in Sew-In Weaves and Extensions. Here’s a Short Video of our Stylist Ashley, in action. Enjoy💕.